Has the app turned a corner? Is it heading in the right direction? 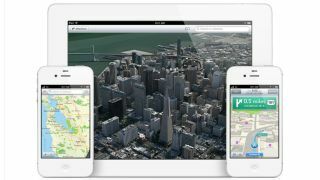 Three years is a long time in the world of technology, as we know, and it has emerged that Apple's once-disastrous mapping app is now doing okay. The figures, which come from Apple itself (via AP), show that the app is used three times more than its Google competitor on iPhones and iPads. There's over 5 billion (yes, billion) map requests every month. This makes a stark contrast with the situation Apple faced in 2012 when it introduced Apple Maps, dumping Google as a default option in the process, and was met with almost universal derision. At the time, the app proved such a fiasco that Apple took the near unprecedented step of issuing a full apology for launching such a crappy app, and recommended alternatives from competitors. The problem with the app was that essentially, compared to Google, its underlying data was lacking – leading to mislabelled buildings, fewer points of interest and dodgy route planning. Since then things have evidently turned around: Apple has pumped cash into the app, and has bought a number of companies specialising in geographic and transport data to make it smarter. However, Apple's gloating should be tempered by considering other factors which could lead to thrice the popularity. For a start, since Google was canned in 2012, Apple Maps has been installed by default on every iPhone running iOS6 upwards – whereas Google Maps must be acquired in the app store. Then there's the fact that for developers, if they want to include embedded maps in their apps, Apple offers developers the tools to embed Apple Maps directly, rather than Google. For example, if you use CityMapper to plan your navigation, on iPhone the embedded map will be one made by Apple – so presumably users of third-party apps are also being counted as Apple Maps users, even if you've banished the actual app to the "annoying things I can't delete" folder on your phone. Our guide to sending maps to your iPhone.